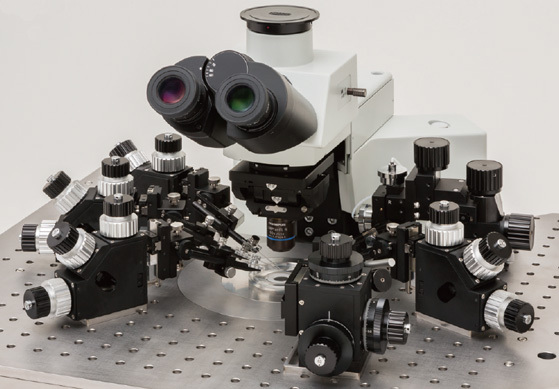 Narishige ITS2-L: Isolation System FOR LEICA MICROSCOPES - Tritech Research, Inc. 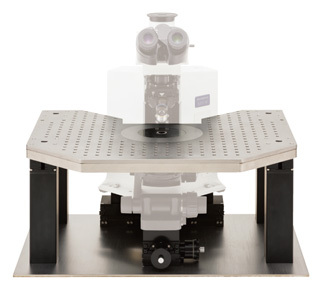 The ITS2-L isolation system, compatible with the Leica DMLFS, employs a stable isolation table on which both a specimen and micromanipulators can be fixed independently of the microscope. The stainless steel stage allows the operator to set up several micromanipulators, in any position required, by means of magnets or screws. From the previous version ITS-N the holes have been changed and are aligned in the optical axes which will allow an easier setup of the micromanipulators.